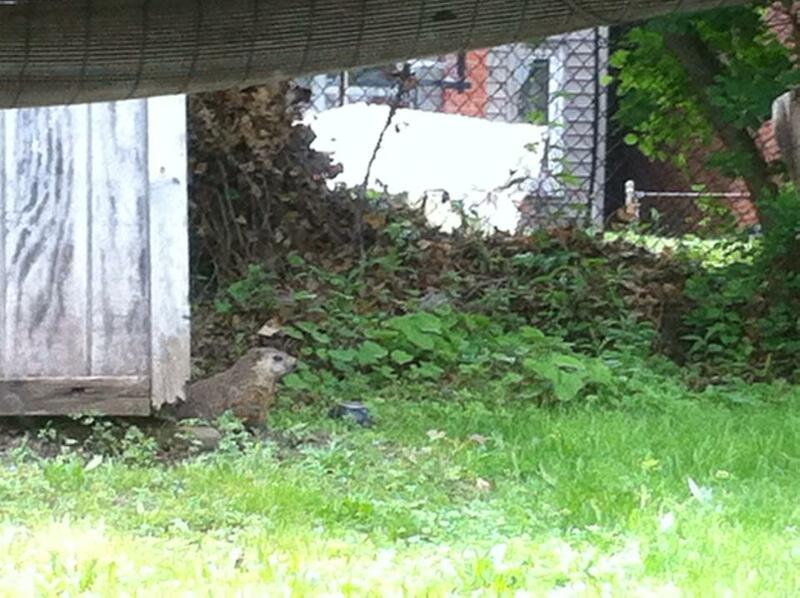 And, there’s this lovely little groundhog that lives in the shed in my new backyard. 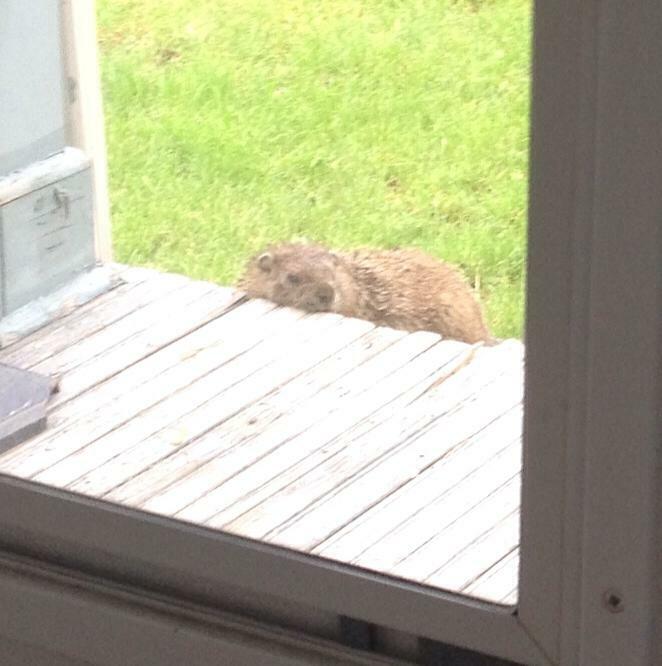 I’ve lovingly named him “Welton” because that just seemed like the perfect groundhog name. I love watching this little guy from my window every morning as I get ready for the day. He likes to sneak through the hedges into our neighbors yard to eat vegetables from their garden–he’s a hungry little dude! I think he’s adorable, and I have to say: I’m a bit obsessed with groundhogs. That’s all for now. I hope you’re all having a great week–Happy June! Can you believe that May is already over? I have some big news: I graduated Friday! Undergrad was fun, but I’m getting pretty excited to move cross-country this week and start an amazing new adventure. I’m enjoying this last week at home with my family and pets, and doing a lot of packing! Today was a big day for me: it was my last day of undergraduate classes. Next week are my Finals, and one week from today I’m going to be walking across the stage at my college graduation. I really can’t believe it! It’s gone by so fast, and while I’m more than ready to move on, it’s going to be an emotional couple of weeks. Saying ‘goodbye’ has never been something that I’m good at. I’m kind of sensitive, so I always get a little bit emotional! But I’m just so grateful that I’ve made such wonderful friends that make it so hard to say ‘goodbye.’ I know that the friends I’ve made will be life-long friends, and I’m so proud of them (as well as myself!) for making it through 4 hard years of undergrad. Most of us are headed on to graduate school, or taking a year off to work or travel before grad school, so we’re all headed separate ways. Even though very difficult goodbyes are near in my future, I’m going to enjoy the next couple of weeks. Graduation will be truly rewarding, and I’m so thrilled to share it with my loved ones. Happy Friday! I was assigned this novel for one of my classes, and I was surprised to find it so enjoyable! Usually, books required for classes are dry and flat, long-winded and often difficult to understand. But this novel was one that I’d recommend to my friends and family, and I hope that some of you find it enjoyable, too! Lying: A Metaphorical Memoir is a unique read from cover to cover. 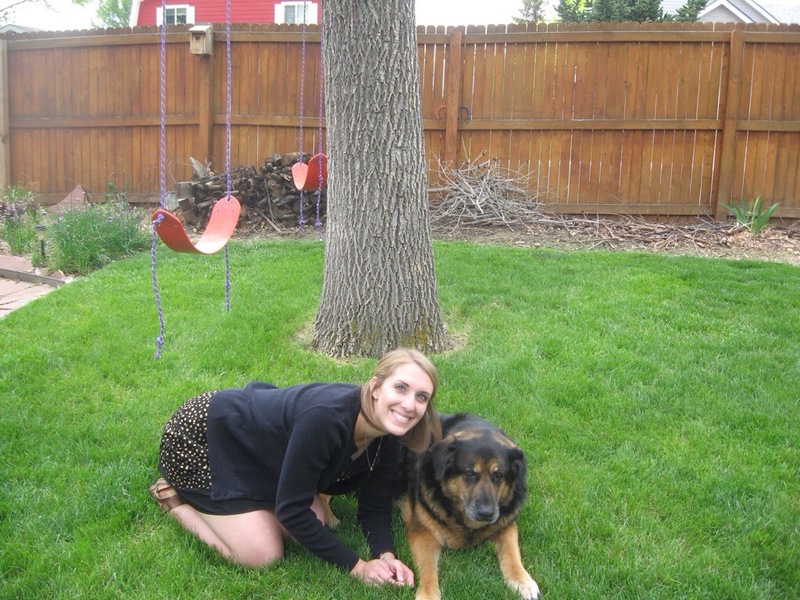 Lauren Slater delights with the challenge of determining what is real vs. not-real in this powerful tale of her life. She weaves together the story of her youth, when she was diagnosed with epilepsy and started to develop neurological and psychological difficulties. 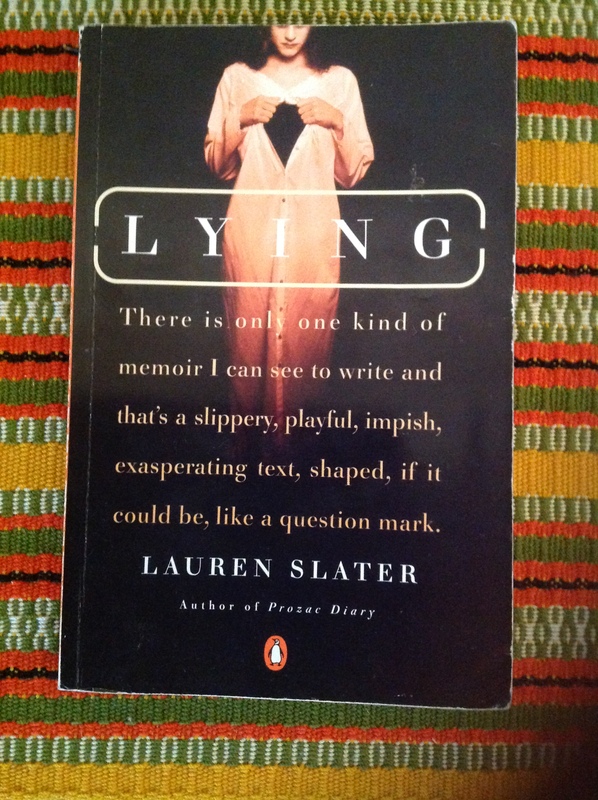 Slater also struggled with the compulsion to lie for much of her life, which is apparent in the novel–it makes it difficult to discern what has actually happened in her life, and what has not. This is a beautiful aspect of the novel, though frustrating at times, because it is an accurate depiction of her personal experiences. In a sense, it doesn’t really matter what the “truth” is; through numerous metaphors, Slater is able to communicate her experiences with her illness, as well as her recovery through creativity and storytelling. I had a hard time putting this novel down–I read it in one weekend! Of course, I was working under a school deadline, but I think I would’ve finished it pretty quickly no matter what. It’s a really powerful story. This is a quick read, just over 200 pages, and it really pushes you to think about how we all create our own stories about how we see the world.